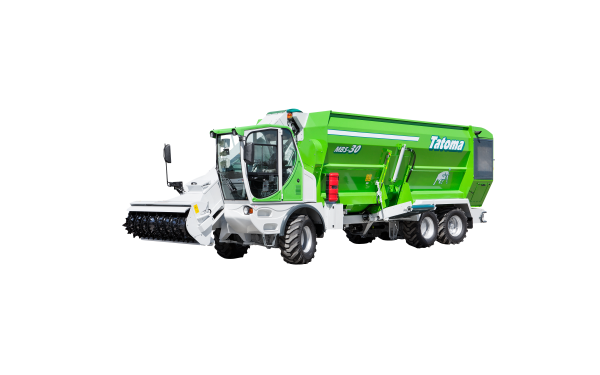 Our trailed horizontal mixer has a mixing and chopping system that has evolved over the years to achieve optimum performance. Operating basically on a central axis on which two hollow spirals are mounted which move from the ends to the center of the axis. This mixing system ensures product movement both lengthwise and crosswise, while avoiding excessive compression of the ingredients, obtaining a fluffy and homogenous mix. 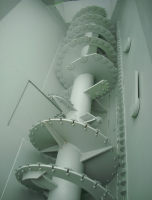 The beaters (2 on MT7,10,13 and 3 on MT16,20,25) mounted on the interior wall of the tub that perform a circular motion, ensure better product flow. This system ensures greater homogeneity of the mixture, more regular chopping and reduced mixing time. 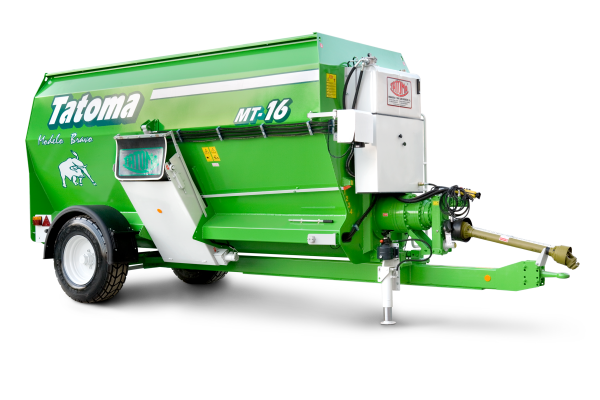 In turn, the working concept of the machine reduces the risk of breakage due to the absence of mechanical moving parts and traction, as the auger is powered by direct PTO from the tractor. The main advantage of our horizontal mixer is that a good mix is obtained with any amount of product, without a minimum fill level. • Mechanical jack for MT 7, 10 and 13 models. • Hydraulic jack for MT 16, 20 and 25 models. • Programmable weighing system PERIN M-700 (20 rations x 20 ingredients). • Self-contained, hydraulically independent from the tractor. 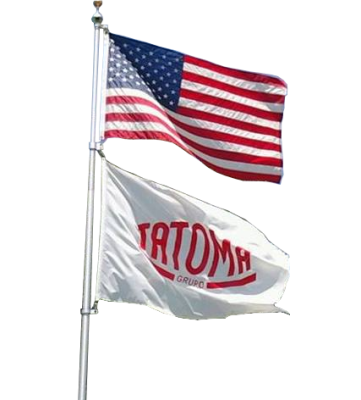 Tatoma is a manufacturer of feeding machines and systems for dairy and beef farmers. From hay and straw bale processors and tmr mixer feeders to full stationary feeding systems for cattle!